If you think that you have the skills of a great retailer and enjoys dealing with customers, then you might as well apply as a retailer. 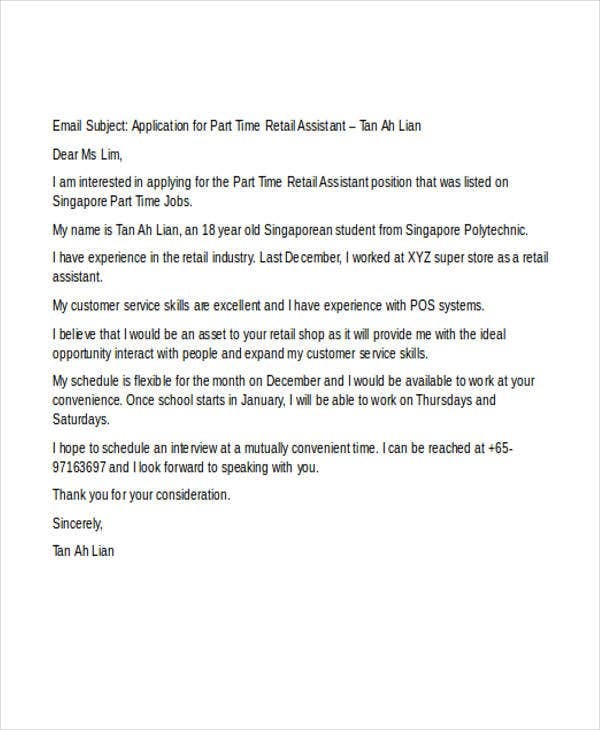 Surely, the opportunities of landing a career in the retail industry is endless, but since the competition is quite tough, you make to stand out from the others by sending a potential employer a winning cover letter. You can start it by writing the appropriate cover letter salutation. A cover letter is almost always required to be submitted together with your resume. It is a great introduction tool that makes a first good and lasting impression in a potential employer, if you do it right. 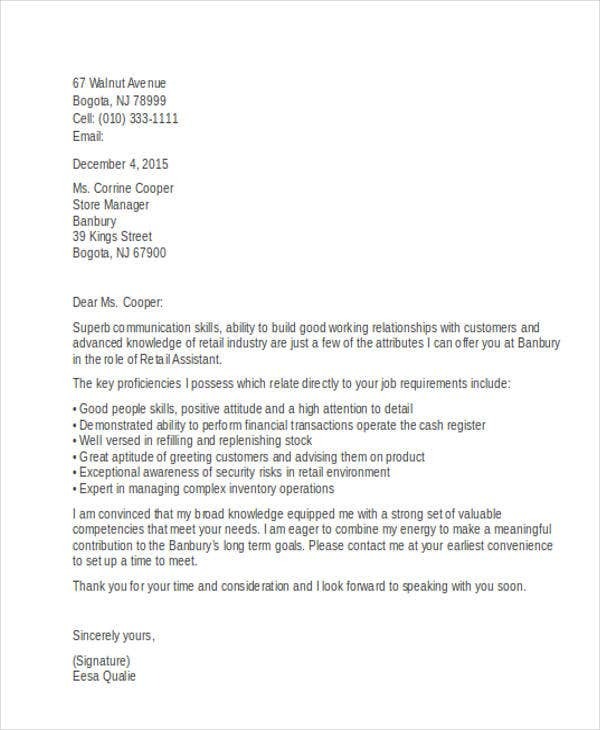 Take a look through this set of cover letter examples to take you to step 1. 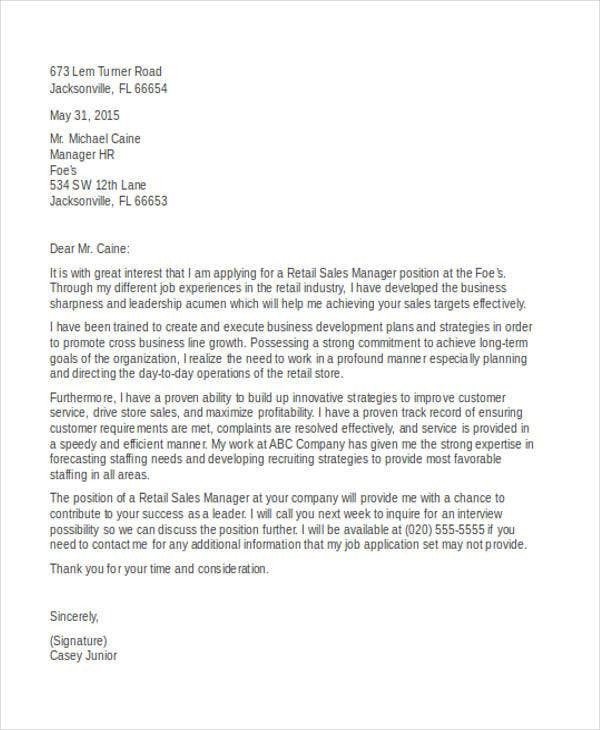 Why Is It Necessary to Send a Cover Letter? 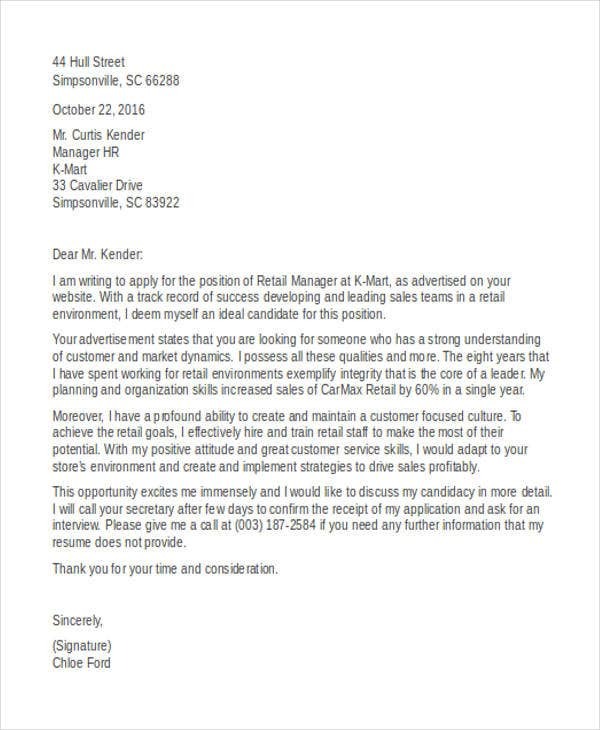 Many applicants wonder why a cover letter is necessary when seeking a job. Although your resume contains essential information about your skills, professional work experience, and others relevant to the job you’re applying, a cover letter is your first introduction to an employer. Imagine going to a battle with only a sword, you only have half the chance of surviving the battle right. Just like in the world of job hunting, your resume isn’t enough to impress the employer. You will need a great cover letter to increase your chances of getting an interviewed by amplifying what is written in your resume and adding a personal touch in your application. 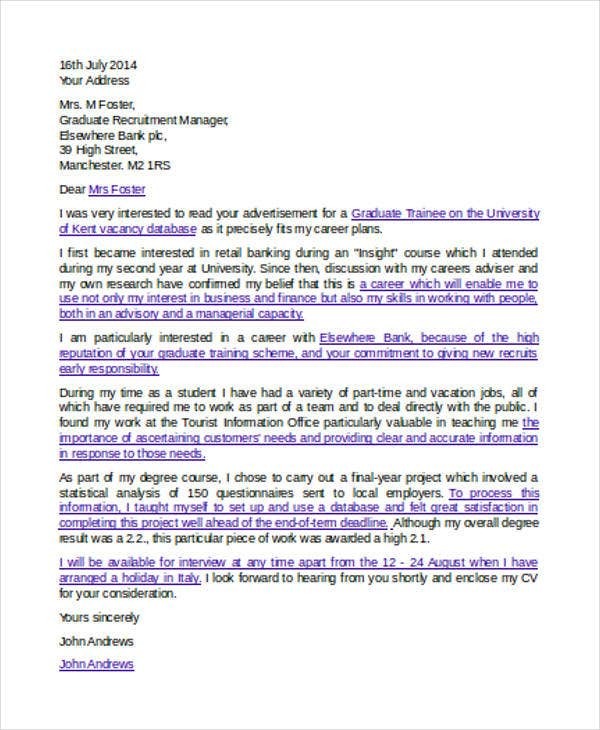 To help you understand this better, browse through our collections of free cover letter templates and cover letter samples. 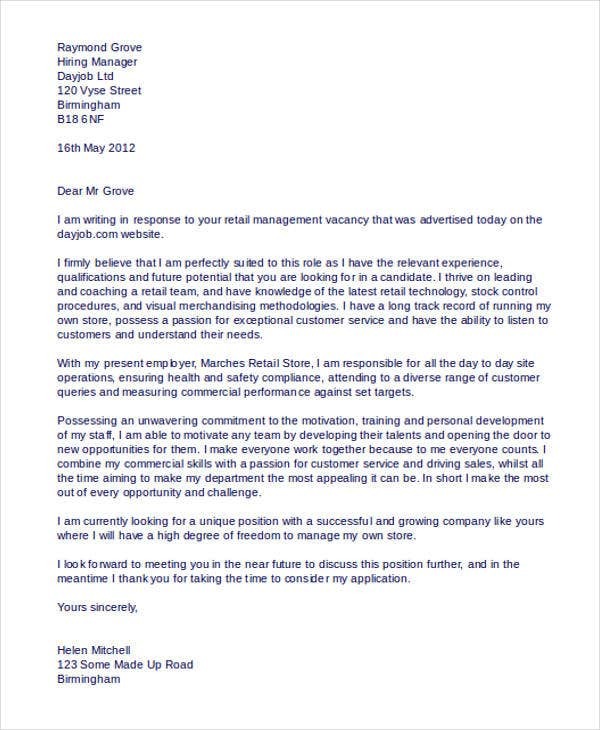 How Can a Cover Letter Help Your Application? A cover letter is your first introduction to an employer, but how can it help an applicant in her application? It helps highlight the strengths of an applicant. Since all applicants have a unique skill set, you have to make sure that yours matches with th job requirements set by the employer. Emphasizing skills, knowledge, and qualification that are valuable to company can make you stand out from the other applicants. It helps you show your interest in the company and the job they’re offering. Feel free to browse our library of job cover letter templates and word cover letters for more options. Contact information – Since a cover letter is a form of formal business letter, you need to format it in a standard business letter. It should have your contact information, as well as the employer’s. 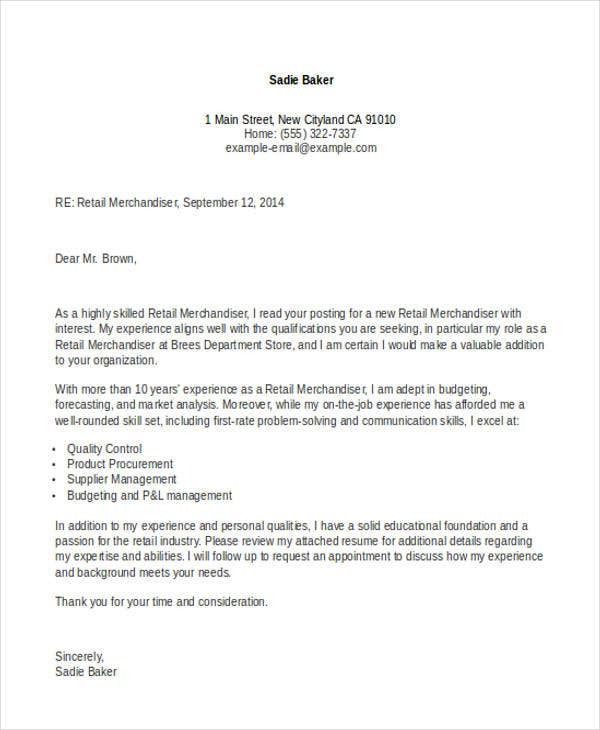 Salutation – Sometimes, the hiring party does not include the name of the contact person to address your cover letter. In this case, it is your duty to find out who to address the letter by researching or calling the company’s HR department. Introduction – Tell the employer your interest for applying and how you learned about their job advert. 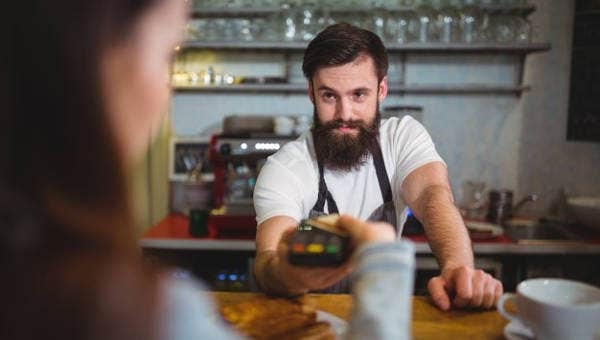 Sell yourself – Do this by highlighting the skills and qualification that are pertinent to the position and how your experience can meet their standards. Conclusion – Tell them how much you’ll appreciate hearing from them. 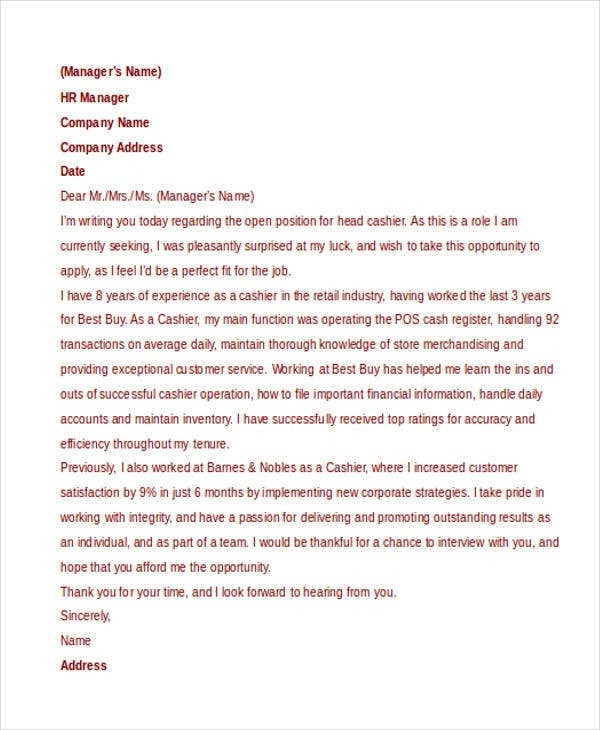 Don’t forget to download our cover letter template in word and email cover letter templates, too! Free Intent Letter Templates – 18+ Free Word, PDF Documents Download! 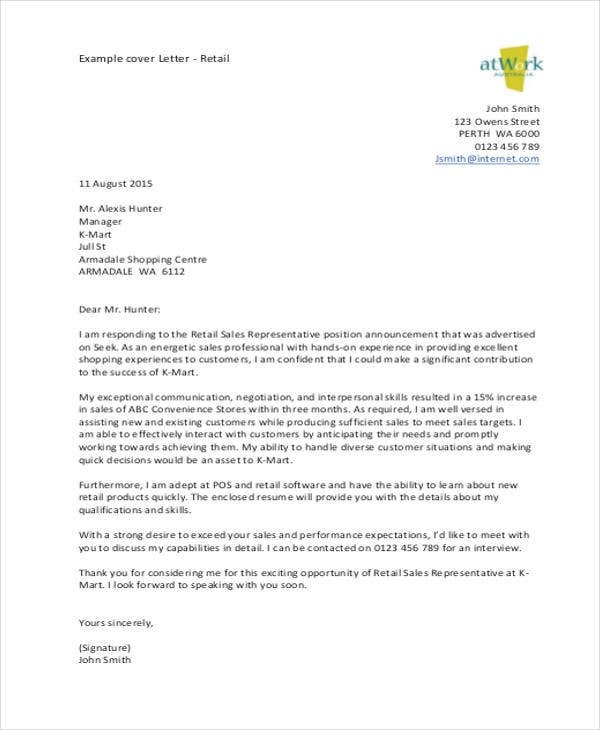 14+ Real Estate Letter Of Intent Templates – Free Sample, Example Format Download!